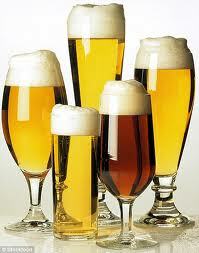 On top of the list are locally brewed beers at various countries. Did you know that even the Middle East and North Africa have destinations where tasty, signature, local beer is brewed. Practically every town in the United States has its own local brewery which processes its signature blend with love. Last, but definitely not the least, you have the Oktoberfest in Germany which is a 16-day beer festival held at Munich where the beers are supplied from 6 local breweries and are the favorite of people from around the world. Next on the list are cocktails. Let’s start with the Thai bucket, a drink that is synonymous with South Asian travel. Thai bucket is literally a bucket that is sold when partying on one of the many beautiful beaches of Thailand. Typically it consists of a red bull, a Thai whiskey and a coke. Enough to get that party started! For years, travellers to Vietnam have tried a deadly cocktail that has left them shocked as well as wanting for more. Here it is: the snake-blood wine. The snake blood wine is prepared by slicing a snake along its belly and draining its blood directly into the shot glass filled with rice wine or grain alcohol. Does it sound appetizing enough? A Caesar is a cocktail created and primarily consumed in Canada. It contains Clam broth, tomato juice and vodka Sounds traditional, but we can assure you it is a cocktail with a twist. Let’s talk about India, the country of diversity. Kerala has its coconut toddy made from the sap of a coconut tree. Goa has its Feni and Rajasthan has its Kesar Kasturi. Andhra Pradesh has its Kallu and Sikkim has its Chaang. Be careful though, that you don’t overdo any of these spirits. They are highly potent and concentrated. The cheapest alcohol in the world is found in Southeast Asia, Eastern Europe and Latin America. In Laos, one can get a large (700ml) bottle of the acclaimed BeerLao for only a bit over US$1. In Eastern Europe, one can get a half-liter of really good local beer for about US$1.50 almost anywhere. In Latin America, skip drinking at the tourist bars and follow the locals, and doing so should result in beers that are closer to US$1 than US$2 each.